First of all, what is cryptocurrency? This question is necessary because in spite of its popularity as a form of investment, only a very few people really understand it and how it works. A lot of people just have vague and incoherent ideas about it. So, in the simplest term, cryptocurrency is a type of digital currency. It is designed with a high level of anonymity. What makes the concept vague is that it is not a physical currency so it can only be used online. It uses cryptography for the conversion of relevant information into a super-secure code used for financial transfers and online purchases. Cryptocurrencies are currently the hottest financial investments. In fact, there are numerous reasons the world is crazy about them. One very good reason is their value. Currently, the exact value of 1 Bitcoin which is the most valuable cryptocurrency is $1,6580.99. Apart from Bitcoin, the other most valuable cryptocurrencies are Monero (XMR), Ripple(XRP), Dash, Zcash (ZEC),Litecoin (LTC), and Ethereum (ETH). While their current value is a good reason they are highly sought after, the rate at which their value appreciates is the real deal. This is the main reason people see them as some form of lucrative investment. With the way things are going, cryptocurrencies will change the world. In fact, they are already changing the world. Here are some of the reasons Bitcoin and the other cryptocurrencies will take the world by storm. Transferring cryptocurrencies is very fast and safe and most importantly, there are no bank charges involved. If you have ever tried to make cross-border transfer for a time-bound business before, you will understand how slow and frustrating interbank transfers can be. In fact, that is when you will understand how insensitive bank officials can be. They will follow their process not minding how long it will take. Yet, you will be billed for the not-so-pleasant service. The arrival of cryptocurrencies is already changing that. Some of the technology used for transferring these digital currencies can also be applied to transfer other currencies too. Imagine having to transfer a huge amount of money and the recipient confirms receipt immediately. To cap it all up, the service is usually free. Why won’t people run after digital currencies? In fact, some organizations now convert their conventional currency into digital one just for the ease of transfer. Do you have any idea how many people migrate to developed countries to work and transfer money to their families in third world countries? A reliable report states that the total figure of these transfers has surpassed $500 billion. The problem is that banks charge about 5 – 10 percent of these transfers. This is usually a large sum of money to the less privileged receiving these transfers. With the advent of cryptocurrency, the sender will only need to make such transfer through his phone without any bank involved. With a negligible amount as fee for money exchange, the beneficiary will receive the money almost immediately. It is unfortunate that one out of three customers will carry out a credit card fraud if the opportunity arises and if he is certain that he won’t be caught. So, the rate of credit card fraud is increasing all over the world. To avoid losing vital information, a lot of people are skeptical about buying products online and even vendors also turn down certain orders if they are suspicious. This costs the e-commerce industry a lot. With the advent of cryptocurrency, e-commerce will be safer and faster. Due to the security of the technology involved, it is not possible to carry out any kind of fraud. So, the risk of fraud is mitigated. Buyers will buy more with peace of mind and sellers will not have to turn down orders anymore. Since these currencies are digital, they can be saved somewhere and paid out to some recipients when certain conditions are met. This is necessary in a situation where trust is an issue. For instance, for a contract, the service or product buyer will pay the money in an account where the vendor contractor will see it but not able to access it. At least, he will be sure that his money is available. He only needs to fulfill his side of the bargain to be able to access the money. Once the service buyer indicates satisfaction, the money becomes available to the service provider without human intervention. A very good example of this is escrow. A freelance site like Upwork runs its business on escrow. When you outsource a task to any of their service providers, the money will be in escrow account. The service provider is only able to access the money when the buyer indicates that he is satisfied with the service. Fiverr also works like that. This kind of contract will be a common practice when cryptocurrencies are fully exploited. The cases of payment delay after a service will cease to exist. Remember how inflation devalues currencies. For instance, the value of the British pounds dropped after Brexit. Currently, the inflation rate in Venezuela is about 128 percent. There was a time the inflation rate in Zimbabwe rose to about 1000 percent. What do you think happened to the currencies of those countries? Their values dropped. Unfortunately, when the value of a particular currency drops, it may take some years for it to recover, if it does at all. In fact, traditional currencies are designed to lose value gradually with time. Can you remember what you could buy with $10 about 5 years ago? Can you still buy it with the same $10 now? The arrival of cryptocurrencies has changed that. Digital currencies are more stable as the problem with certain countries will not affect their values. Smart investors now use these currencies as a means to store value. While all other conventional currencies are decreasing in value, digital currencies appreciate. And no single government or country can manipulate or control it. In conclusion, even Christine Lagarde, the current Managing Director of IMF recently acknowledged the fact that digital currencies are already changing the traditional banking system. 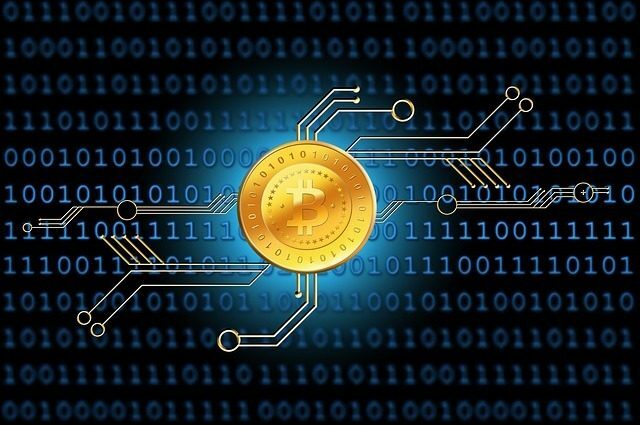 There is no doubt, digital currencies will revolutionize the way business is done worldwide.